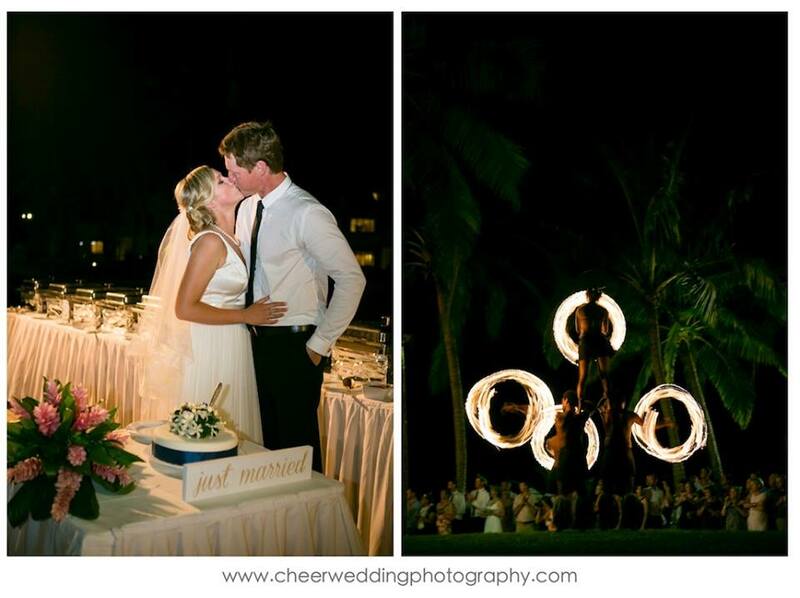 The Sheraton Fiji is one of our most popular resorts for weddings. 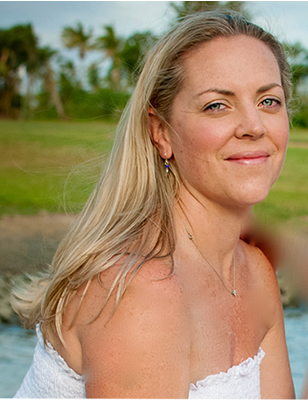 Christie and Cameron had holidayed in Fiji previously and loved the relaxed feel and lovely people. They wanted to capture that for their day and have a low stress wedding for them, their families and guests. 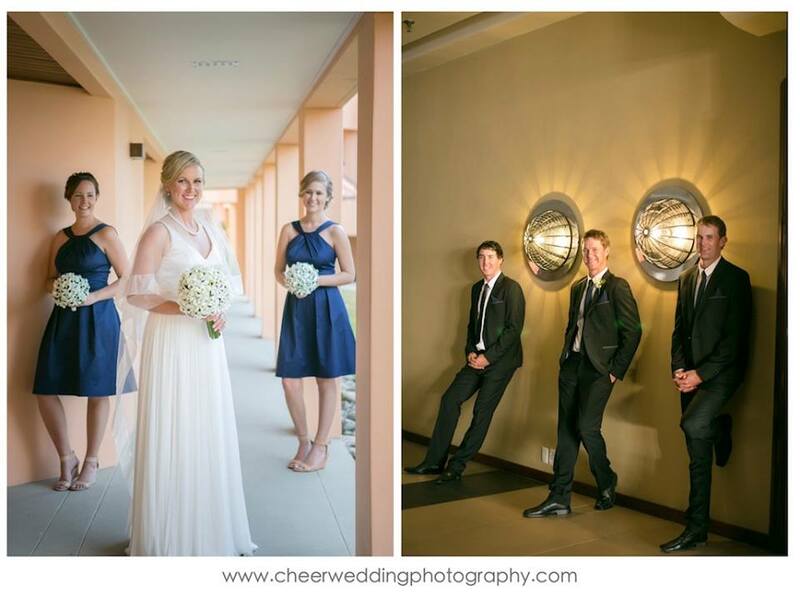 A very big thank you to Michelle from Cheer Photography for these beautiful images. 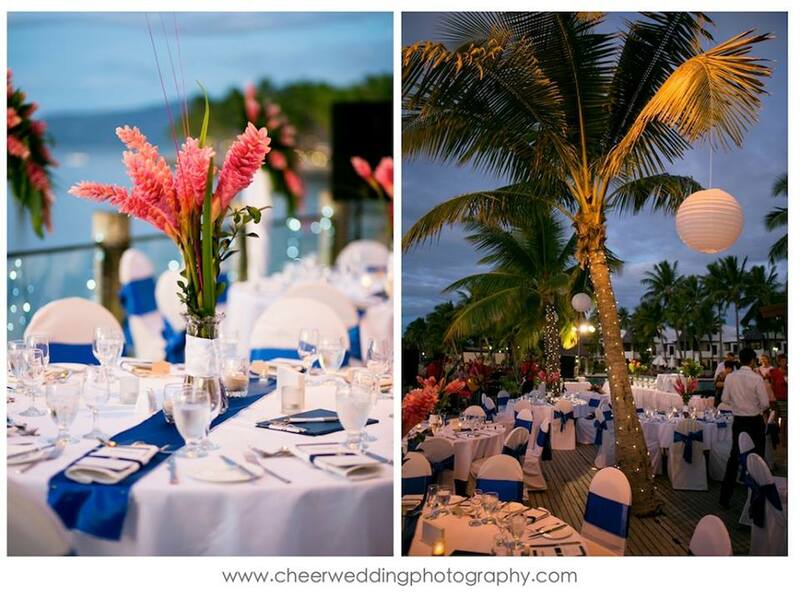 The ceremony was held on the Sheraton Beachfront and a reception followed on the Villa Pool Deck at the Sheraton Denarau Villas. 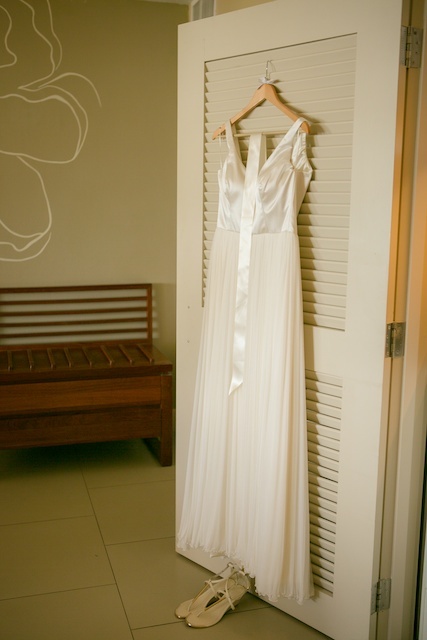 Christies dress was custom made from Hilde Heim in Enogerra, Brisbane. Satin bodice with layers of silk mesh skirt. Lovely and cool, easy to move in and great choice for the Fiji weather. Cameron’s outfit was from Rodger David, and the groomsmen wore charcoal suits with navy ties and pocket squares to match the bridesmaids. The bridesmaids wore navy dresses from Baccini and Hill, Melbourne. The dresses were cotton with a satin weave so they looked luxurious but were very cool. The highlight of the day apart from marrying Cameron was the reception. Great speeches, wonderful MC, excellent entertainment. It was an amazing party that continued well into the night. 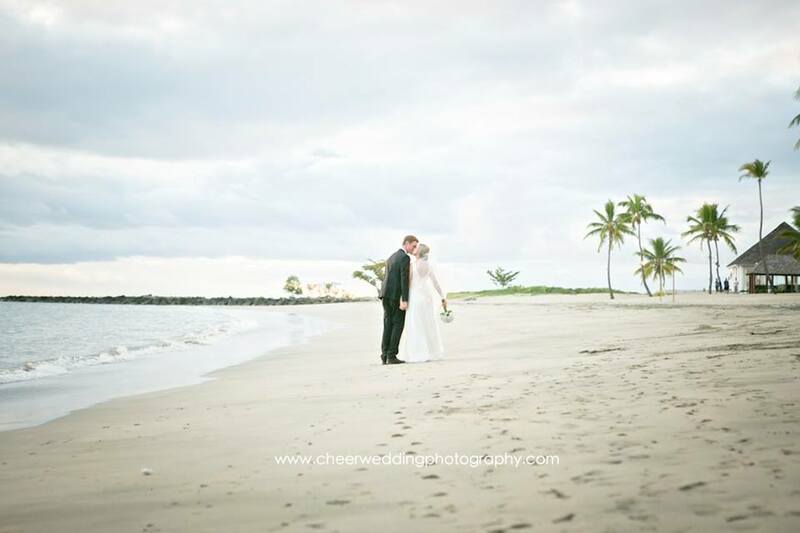 Prior to the wedding their guests went on a day or half day cruise out to the islands with South Sea Cruises. The boys went deep sea fishing and caught some tuna which they brought back and the Flying Fish who cooked it for them. 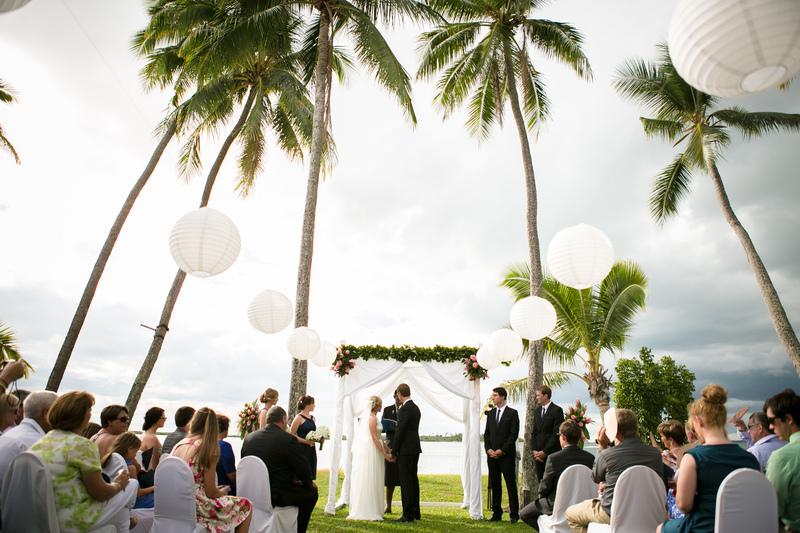 We asked Christie what advice would she give couples organising a wedding in Fiji? Do what makes you happy (as a couple, no one else).Get a wedding planner and enjoy the process as much as possible. If that means doing heaps of DIY things to take over or just letting the resort take care of everything it’s up to you. Men will never spend hours on Pintrest or Goggling the various flower types available at your time of year so just do the research and let them pick from a few choices! Do an engagement session with your photographer, especially if you have never met them face to face or have never had professional photos. It really put us at ease and meant we knew what to do on the wedding day and that helped make for great photos and speed up the photo process. We would have organised a friend or staff member to have champagne and beers for the bridal party during photos. It’s very rushed after the ceremony and photos do take a while. 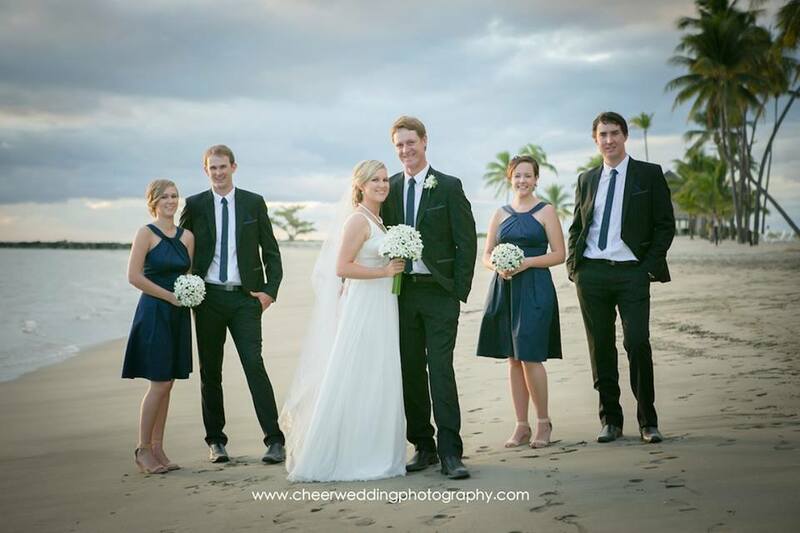 We chose to hire a wedding planner due to the logistics of planning a wedding overseas and the fact that we were unable to travel to Fiji to source and try our own suppliers we thought having someone with the experience and recommendations would benefit us. Yes! 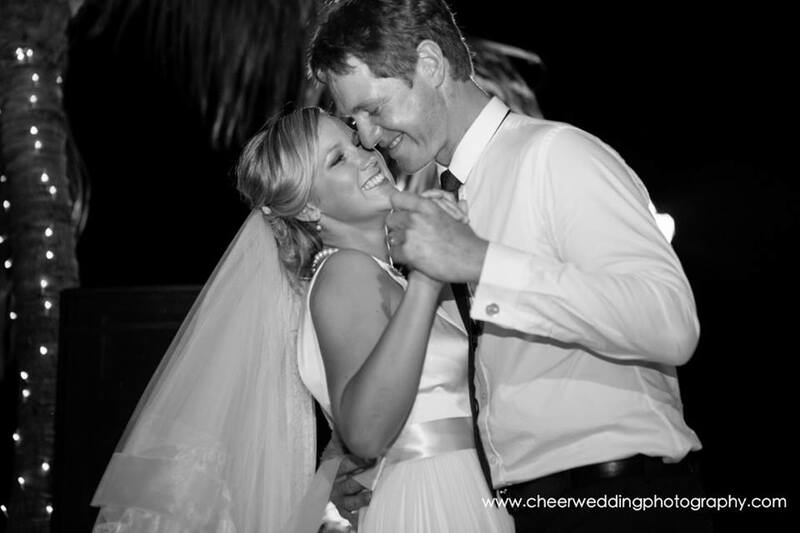 Absolutely after hearing other brides’ experiences (Fiji and Australian weddings) I would recommend it. Having Chelsea doing the hard yards meant we could focus on the day without the stress of chasing up quotes, slow replies to emails etc. We were able to enjoy the wedding preparation process which I think a lot of people don’t get to do as they have to communicate with so many people.